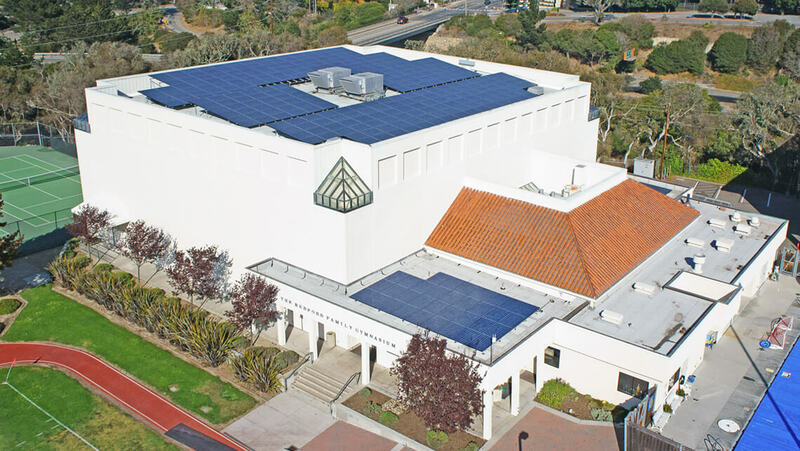 Scudder Solar Energy Systems offers complete commercial solar power design, engineering and installation for Monterey, Santa Cruz and San Benito counties. A properly designed and installed commercial solar energy system is totally reliable, virtually maintenance-free and a business investment that can offer a long-term investment with a short payback period. 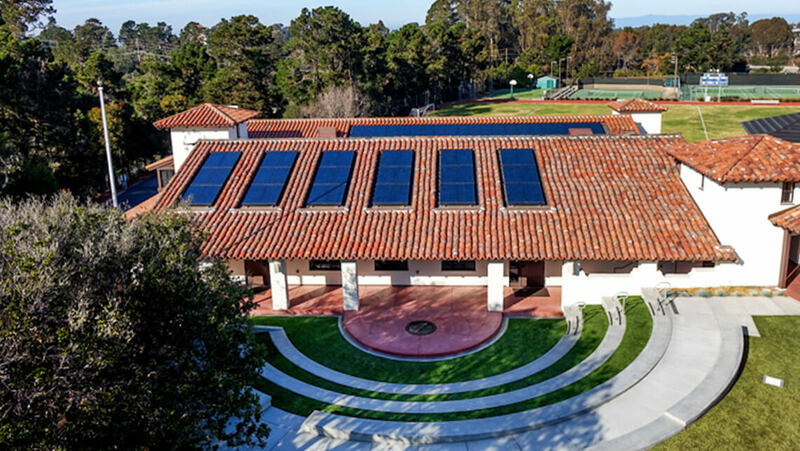 Scudder Solar Energy Systems, headquartered in Marina, CA, is a leading commercial solar installation contractor serving Monterey, Santa Cruz and San Benito counties. 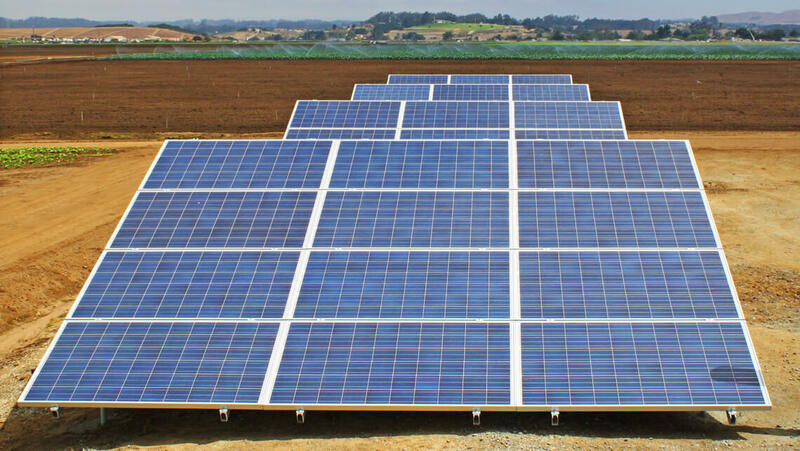 Solar power offers a range of benefits and opportunities to businesses on the Monterey Peninsula both big and small. We provide a wide array of large-scale solar solutions for all business sectors including commercial, agricultural, industrial and non-profit. 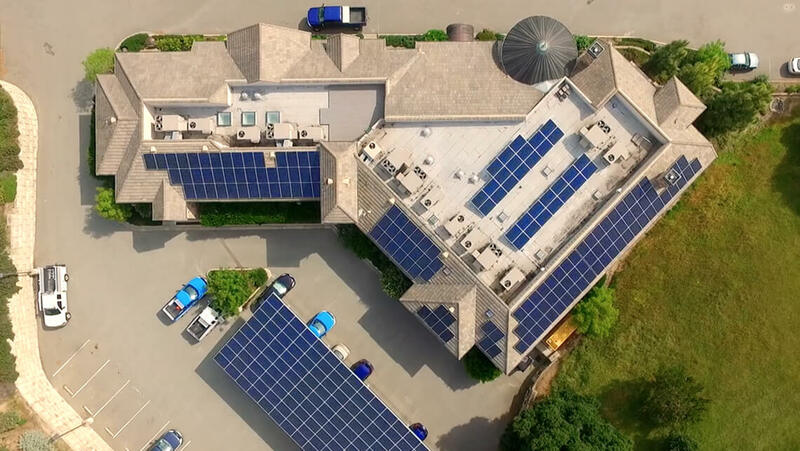 Whether your organization is considering a solar retrofit or you're looking to solar power for new construction, Scudder Solar is a full-service firm with an in-house team of experienced solar design consultants, electrical engineers and certified installers with the capability to build your business a solar PV system that fits both your financial and energy goals. 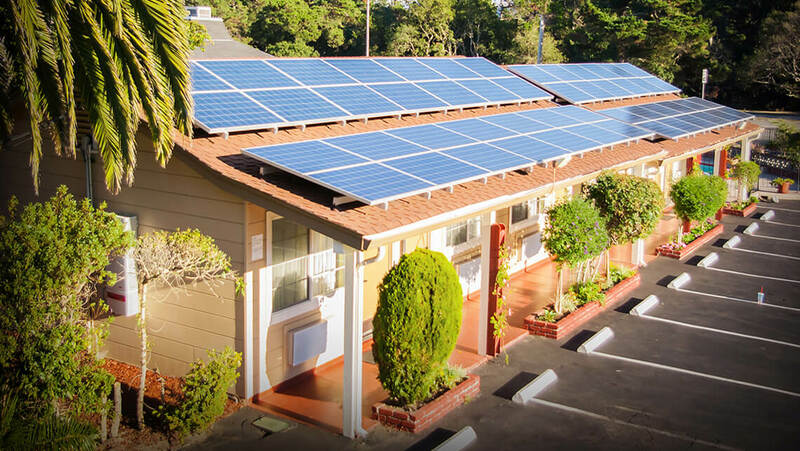 At Scudder Solar, we use innovative solar energy design to help companies lower their energy and operating costs, increase their property value and protect their investment in the future. We design commercial-grade solar PV systems for: Office buildings, wineries, hospitals, hotels/motels, multi-use facilities, retail businesses, community centers, manufacturing facilities, warehouses, schools, non-profits and commercial building owners. From an in-depth analysis of your business needs and energy consumption, to a detailed financial overview as well as a physical solar site evaluation of your property, the experts at Scudder Solar are with you every step of the way. 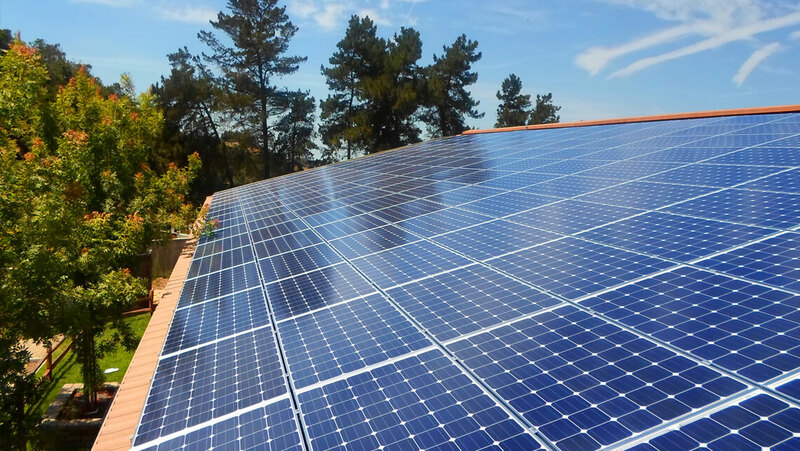 We handle everything from start-to-finish including evaluating your current and future energy needs in order to determine the right size and capacity solar system, as well as the overall cost savings you can reach by going solar with our firm. Like any other construction project, a commercial solar installation requires a team of highly skilled and talented people working towards the common goal of building the best solar pv system possible and matching all of your expectations and specifications. 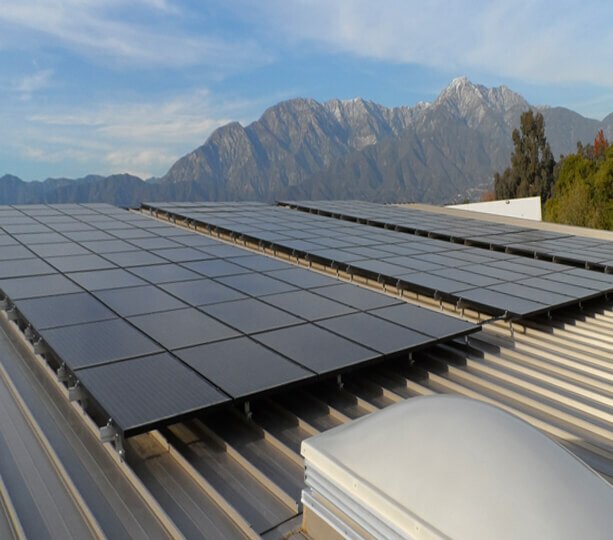 Our track record of success with designing, engineering and installing commercial-grade photovoltaic solar systems gives the companies we work with the assurance that we stand behind everything we do and every system we build. Our customers can often experience immediate cash savings on their first electric bills after installation. That's solar savings to your business bottom line from DAY ONE! 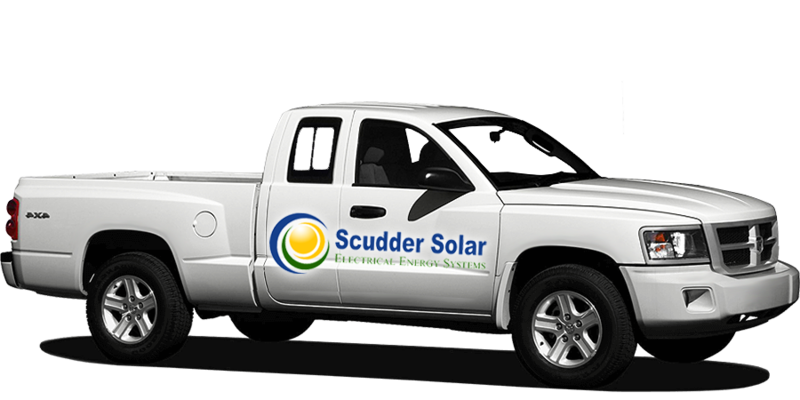 From our design consultants and engineers to architects and electricians, team Scudder is knowledgeable, experienced, highly skilled and comprised of some of the best and brightest in the solar industry today. Well educated and trained in the newest green products and solar technologies on the market, our local team works hard to offer sustainable and cost-effective solar solutions all over Monterey and Santa Cruz county no matter how big or small your residential or commercial project. Stop the clock on continuously rising utility rates with solar and you can protect one of your greatest investments: your business or building. The cost of commercial solar has decreased dramatically and a properly installed solar system can generally pay for itself within 1 to 7 years or even more quickly in some cases. And now, with the commercial solar lease options we have available, the return on investment can be nearly immediate with no money down and cash savings off your utility bills from DAY ONE! Positive cash flow can be obtained on most commercial solar power system installations as early as the first year after installation. You will also increase the value of your building or structure with zero increase to your property tax. If you take your company solar, it's positive public relations. Position your company as an environmental leader in the community and build your brand with solar. Green is a great color for advertising and word of mouth. The solar equipment we use and build with comes from some of the leading manufacturers in the country with comprehensive warranties and track records that prove they will still be in business when you and if you ever need them. We also have a skilled in-house design and engineering team that builds a custom solar system to fit your needs, aesthetics and circumstances. We have a 100% customer satisfaction guarantee that we stand behind as we guide you through the solar process including all permit pulling, paperwork filing, tax credit and incentive details and any necessary documentation required. Financing: Scudder Solar offers a huge array of financing and payment options for business owners -- from $0 down leases and PPA's to low interest solar loans.